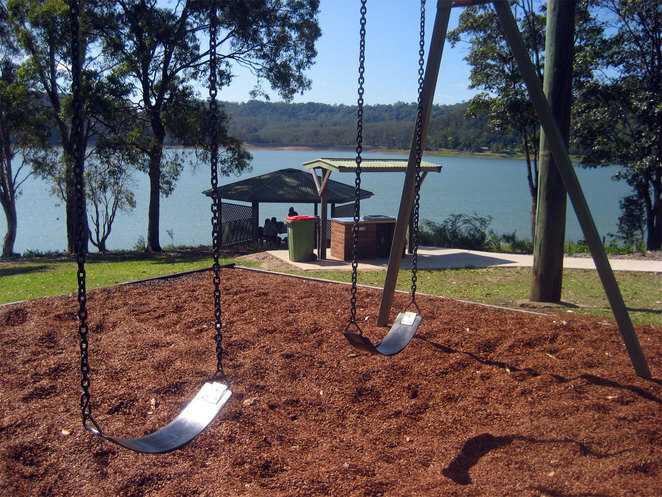 Located between Maleny and Montville, the Baroon Pocket Dam is a picturesque lake worth visiting for a picnic or a barbecue. On the northern side there is a nice 4 km return walk through beautiful forest to a lookout. There is also a side track to the Obi Obi Creek. The dam has two picnic areas. The Southern Recreation Area is larger and there is the short, but fairly uninteresting Martin Williams Walk there. The Northern Recreation Area at the end of Narrow Road is also nice and is where the walk to the lookout starts. It is also the start of the first section of the 58 km Sunshine Coast Hinterland Great Walk. 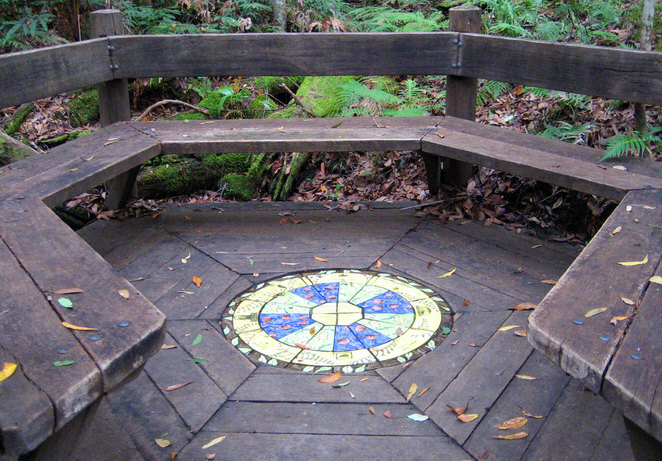 The 4 km track is well maintained with bridges, boardwalks and other great features, such as rest areas on the way. You are walking up to the top of a rise, but if you are not in a hurry, anyone can do this. The best thing is that coming back to the start is all downhill. It is a great walk through pleasant forest to the lookout. This is one of the best forest walks I have been on, with plenty of large old trees along the path. 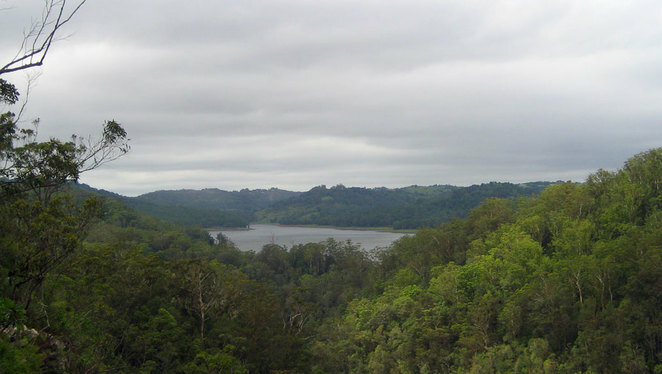 There are no views until you reach the lookout, from where you can see Lake Baroon. Looking down into the gorge and at Obi Obi creek, you realise how far up you have come (though the creek level is lower than the dam). These are great views that are well worth the walk. The track continues from the lookout. 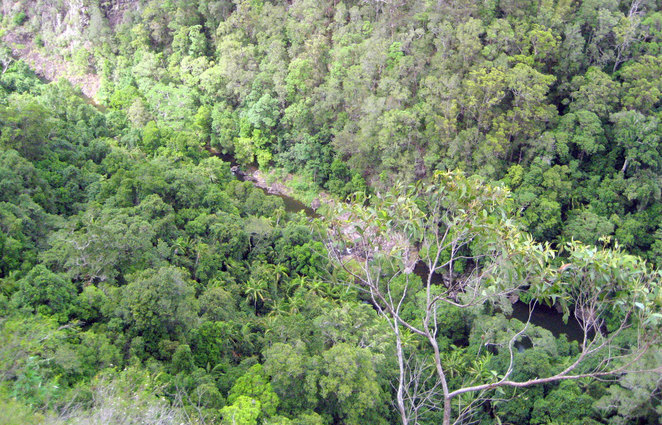 It is about 4 kms to the Flat Rock swimming hole (12 kms return in total), and 8 kms to the top of Kondalilla Falls (20 kms in all) and about 9 kms to the car park at Kondalilla Falls (22 kms return walk). This walk is fantastic but it's a steep and rough track. It is better not to continue past the lookout unless you are prepared for a much longer and tougher hike. After the hike, you can enjoy a picnic or barbecue at the lake. However there are also plenty of places for lunch at both Montville and Maleny. 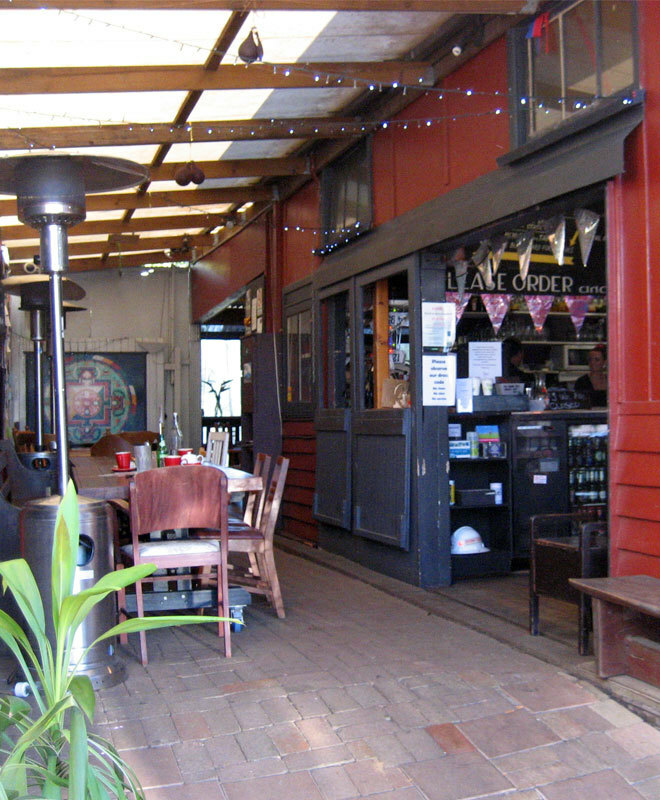 Montville tends to have the more upmarket restaurants, including the Flame Hill Vineyard, which you will pass on Western Avenue on the way to the dam. However if you are a little sweaty and dirty from the hike you might be looking for somewhere more relaxed for coffee and cake, such as the UpFront Club at Maleny.